The Board of Directors of the Ethan Allen Institute is pleased to announce the election of Robert Roper, of Stowe, as its new President. Roper, who has served on the Institute’s Board for the past year and hosted its influential Common Sense Radio weekday talk show on WDEV, will spearhead an aggressive new program to educate Vermonters on the fundamentals of a free society – individual liberty, limited government, lower taxes, competitive free enterprise, economic opportunity, fiscal responsibility, and respect for the constitution. The Ethan Allen Institute will make the case for commonsense policy proposals with research and commentary on taxation, education, health care, energy and other important issues. Roper, a graduate of Kenyon College in Ohio, came to Vermont in 1998 after eight years as an advertising writer and marketing strategist with three international advertising companies. His accounts included such firms as Unilever, Kraft, Bronx Zoo, Colgate Palmolive, and the U.S. Postal Service. 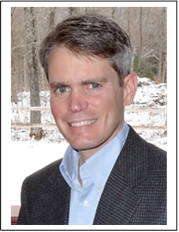 In Vermont, Rob has provided marketing services for a number of local businesses and organizations. In public life, he has worked in several political campaigns and served for three years (Jan. 2007 – Nov. 2009) as chairman of the Vermont Republican State Committee. Rob and his wife Hilary live in Stowe with their two children. He succeeds interim President Bruce Shields of Eden, who will return to the Institute’s 18-member Advisory Council. The nonprofit, nonpartisan member-supported Ethan Allen Institute has long been a leading and well informed voice for limited government and greater prosperity for Vermonters. Its website is www.ethanallen.org, and it will celebrate its 20th anniversary in 2013. I had the pleasure of reading your “A true Christmas present” piece in the St Albans Messenger today, in fact I read it twice, and I have to say that you’ve answered so many of the questions that have ruffled my feathers for the past few years regarding cradle to grave handouts that I just had to communicate with you. My only previous involvement in politics came during Len Britton’s campaign in 2008. It wasn’t that he had such a great chance of winning but rather it was his great platform that attracted me to attend his town hall meetings and wave his name up and down I-89 in the rain and cold weather etc. To me he was such a special individual who happened to be in the wrong state and despite that he probably got 99% of the Republican vote as a virtual unknown. Someday people like him and Randy may find their fiscal policies are the one’s that will get us out of this mess we have on so many fronts. I’d love to see you in Montpelier or Washington and I would support you to the fullest of my ability. If that’s not in the offing for you then I hope you will continue to write these articles and try to have them aired on national media outlets such as FOX News who I know would support your editorial of today. Please add to your list of solar reps Caleb Elder from starksboro who beat Fred Baser.